Client Spotlight: Meet James Lane!! The skills and physical training that my son James was exposed to in training sessions with Anneliese has helped him immensely, and I believe will continue to well into his future. I initially sought her help, not to make James a better athlete, but to correct his gait and teach him methods to exercise correctly (to prevent injury or exacerbate an existing one) and effectively (working on the right things while making the most of his work out time). James began meeting with Anneliese when, as parents, we noticed his gait was different from that of his peers when he ran or walked. He resembled an old man running in cowboy boots at times so I asked Anneliese to take a closer look to see if this was correctable. Upon evaluation, Anneliese found James had extremely tight tendons and muscles in his ankles and down the backs of his legs, back and hips. She spent five sessions showing him the proper way to stretch and work these muscle groups leading to a more powerful stride. The training sessions also strengthened the muscles in his core, thighs and shoulders. I learned the importance of this as it would help to prevent his body’s tendency to revert to the stiff gait he had originally. James absolutely loved his sessions with Anneliese. Her upbeat personality and desire to help people achieve better physical and mental wellness helped James in more ways than one. According to James she makes great peppered almonds too! James not only walks and runs better, but he is much stronger. In fact, when he was tested in his school PE class he improved significantly on several exercise measurements! One of the focus points for James during his sessions was to improve his hover time each week. His last session saw him achieve a 9 minute hover, which was a huge achievement! He is now playing Lacrosse and has experienced personal success that we attribute to his time with Anneliese. 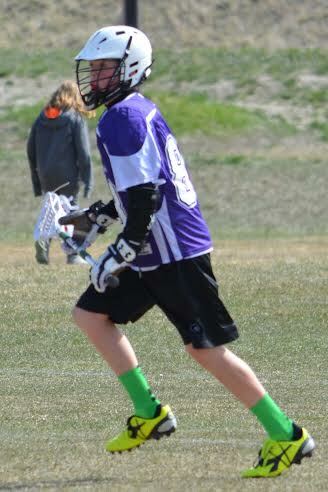 As a mid-fielder on the Lacrosse team James is in constant motion, running up and down the field. These sessions have allowed him to maximize his stride and run more fluidly. Looking back, the time spent with Anneliese was excellent. Our family will use her services again and we recommend her to yours.